A 95-year-old British veteran of World War Two broke his own record recently as the world’s oldest scuba diver after taking the plunge to explore a shipwreck off Cyprus. 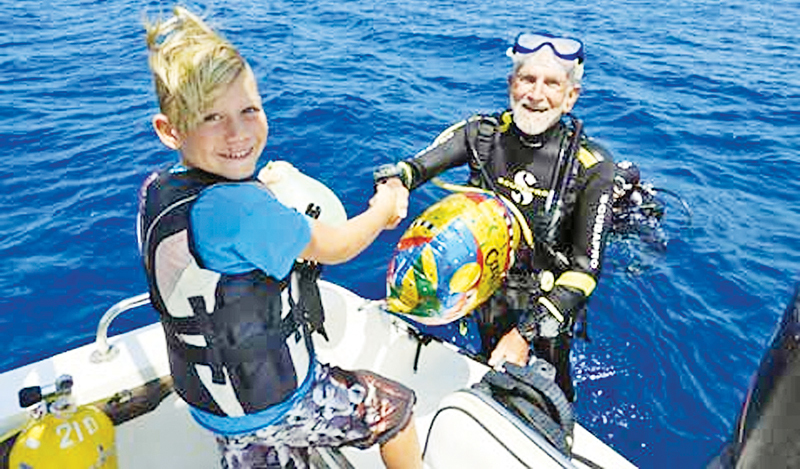 Ray Woolley, who turned 95 on August 28, already holds the record as the oldest active male scuba diver. He dived for 44 minutes at a depth of 40.6 meters, beating his previous record of 41 minutes and 38.1 meters - when he was 94. “We did it...I feel great. It’s lovely to break my record again and I hope if I can keep fit I will break it again next year with all of you,” Woolley said moments after emerging from the water. “I am trying to prove to myself, and I hope to other people, that exercise, especially when you are getting to around my age, is most important to do,” he told reporters after returning to land.